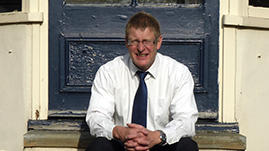 Originally from Sheffield, Tony qualified as a Solicitor in 1977 and has worked in the Doncaster area for over 30 years, building up a loyal following of clients. He has a wide range of experience in many areas of law but now concentrates on residential and commercial conveyancing, commercial leases and private client work. Tony is dedicated to giving a personal and professional efficient service to all his clients at all times. For over 14 years, he was a local Complaints Officer for the Law Society, helping resolve disputes between clients and their solicitors in a non-confrontational way. Outside of work he enjoys music, cricket, football and quizzes which he takes far too seriously! Mark has been with Dawson and Burgess since 1986, having begun his career in Doncaster in 1981 and qualifying as a Solicitor in 1984. Throughout his career Mark has specialised in giving private client advice, in particular the drafting of appropriate wills, winding up of estates and administration of trusts. He is able to advise on protection of family assets by, for example, putting in place suitable powers of attorney, the use of property trust wills to protect the family home, and the efficient administration of estates for the benefit of your family and beneficiaries. Mark is particularly proud to have been, for 30 years, a Trustee of Doncaster Cancer Detection Trust, and also a Trustee of Aurora Care to Give cancer charity, in which role he makes a reluctant and humble appearance in the annual fashion show. Outside of the office he is kept busy with an ever growing family, two unruly dogs and is put to shame by his wife who is regular triathlon competitor. Kristen joined Dawson & Burgess in June 2013 after spending over 10 years with another Doncaster firm and became a partner in April 2014. She qualified as a Solicitor in 2007 and specialises in wills, powers of attorney, court of protection matters and estate administration. Kristen is committed to providing a friendly, approachable service for the elderly client and is more than happy to visit clients in their own home. She is a member of Solicitors for the Elderly, an independent national organisation of lawyers, who provide specialist legal advice for older and vulnerable people, their families and carers. 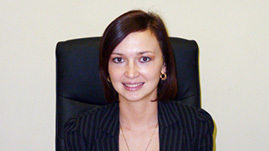 She also acts as an Attorney or Deputy for clients who are unable to manage their own affairs. Kristen is also an active member of Doncaster and District Law Society and currently acts as Membership Officer with her partner Janice Oxley. Outside of the office, Kristen is kept busy by her two sons and two Labradors! She is also Chair of the charity at the school which her two sons attend. Gemma was born in Doncaster and is pleased to be able to practice law in her home town. She joined Bell Dallman & Co. in September 2007 as a trainee Solicitor and trained in numerous areas of law, after leaving Sheffield University with an LLB (Hons) Law Degree and Legal Practice Post Graduate Diploma. She qualified as a Solicitor in September 2009 and is head of the Family Law Team, which covers divorce, financial issues, matrimonial conveyancing, occupation and non-molestation orders, co-habitee disputes and children matters. She is a member of Resolution. In addition, she deals with conveyancing, wills, probate and lasting powers of attorney. Gemma prides herself on the personal touch that she offers her clients and often becomes the Solicitor for whole families, having built up a relationship with them and guiding them through a whole range of needs, rather than clients having to use a different solicitor for each issue. When Bell Dallman & Co. merged with Dawson & Burgess in September 2010 Gemma has continued to work in the above areas of law at their Armthorpe office and is a highly regarded member of the team. She became a partner in April 2015. In her spare time, Gemma enjoys spending time with her family and socialising with friends. 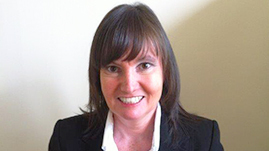 Janice is a Chartered Legal Executive and head of the firm’s Litigation Department. Janice qualified in 2004 and became a partner in September 2016. Janice has extensive experience and is highly regarded by her local authority clients in her dealing and handling of claims. She deals mainly with fast track and multi-track highway, employer’s liability and public liability claims. Janice handles a claimant caseload dealing with a range of personal injury, road traffic and boundary dispute cases. She also undertakes debt recovery for both business and private clients, landlord and tenant disputes and contentious probate cases. 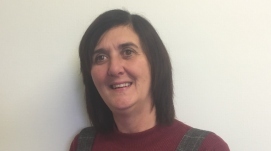 Janice is happy to provide external training to local authority clients on a range of topics. 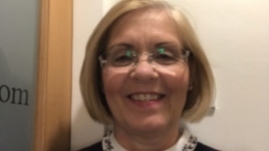 Janice is also an active member of the Doncaster and District Law Society and currently acts as Membership Officer with her partner Kristen Craig. Outside of work Janice enjoys a range of outdoor activities with her 4 dogs. 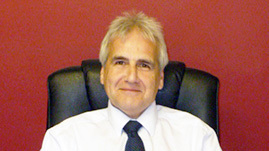 Roger Williams has practised in Doncaster since 1968 which is also when he joined Dawson and Burgess, so has many years experience, covering many areas of private practice, but the greater part of his work is in the commercial and property fields, including work for NHS and other public bodies. 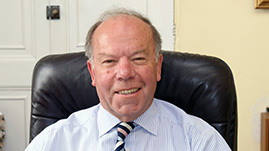 He is also a past President of the Doncaster and District Law Society. Outside the office Roger has served for many years as a school governor, and also undertakes charity work, being a member and past president of Doncaster Rotary Club, as well as having a lifelong involvement with the Scout movement. A keen walker and climber, Roger is seldom happier than when he is out on the mountain tops. Hywel originates from Sheffield but has lived in Doncaster for over 25 years. He qualified as a Solicitor in 1996, and has worked in Doncaster since 2001. He has recently joined Dawson and Burgess. His legal career has covered many different areas of both private and public practice and Hywel is proud to have had the opportunity to represent a wide variety of people in his time in Doncaster. He is now concentrating on property work for both commercial clients and private individuals. Away from work he likes spending time with his wife, 3 children and chocolate labrador. 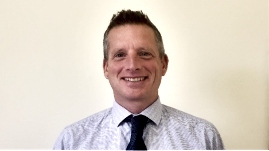 He enjoys being involved in his children’s sporting activities and coaches a local junior football team. At the end of the day he relaxes by walking his dog. Sue began her legal career in Doncaster in 1983, joining Dawson & Burgess in 2006. She was admitted as a Fellow of The Institute of Legal Executives in 1998, and is head of the Residential Property Department. During her career Sue has dealt with countless conveyancing transactions and ensured her clients home moves have gone as smoothly as possible with all legal safeguards in place, and has always taken any personal requirements of the client, into account when working towards completion. She also offers advice on joint ownership of property, gifts of property and equity release. She prides herself on providing a personal, friendly quality service, and the amount of continuing and repeat business is testament to the professionalism, dedication and commitment which Sue invariably gives her clients. When not working, Sue likes to mix socialising with keeping fit, enjoys open water swimming, cycling and triathlon events. Dawn started her career in Doncaster in January 1988 and became a Fellow of The Chartered Institute of Legal Executives in 2002. Dawn is very professional in her approach and prides herself on the service she gives to her clients using her significant experience to ensure they get the best service. She has a proven track record in all areas of family law including divorce, financial issues, co-habitee disputes, occupation and non-molestation orders and all issues concerning children. In addition Dawn prepares wills, lasting powers of attorney and change of name deeds. Dawn is well known within the local community, which brings her repeat business and word of mouth clients. She has a strong connection with other professionals and the courts. She enjoys socialising and spending time with her family and friends. Sandra has worked in the legal profession for 46 years. 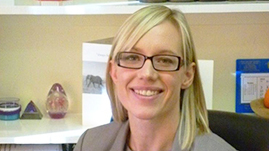 She joined Dawson and Burgess in March 2013 following the closure of Atteys Solicitors. She has over 35 years experience dealing with residential conveyancing, covering sales and purchases, buy to let properties, remortgages, transfer of equity, residential leasehold properties and acquisition of residential land plots including new builds. Sandra prides herself in giving a good, friendly and quality of service to all her clients and the amount of repeat business and recommendation is testament to the professionalism, dedication and commitment that she gives to her clients. Sandra ensures she does all she can to reach her clients expectations and their transaction runs smoothly from start to finish. Outside of Work, Sandra enjoys horse riding, socialising and DIY. Magdalena was born in Sosnowiec in Poland and has lived in England since 2007. She graduated from Sheffield Hallam University with a 2:1 Bachelor of Laws Degree in 2013 and joined Dawson and Burgess in summer 2013. She studied a Legal Practice Course part time at NTU Law School which she completed in June 2017 achieving Commendation. 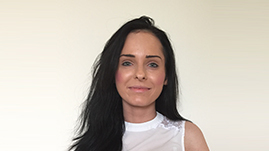 Subsequently, Magdalena began her training contract with Dawson and Burgess as a trainee Solicitor in August 2017. She is currently assisting Tony Dallman (Senior Partner) where she deals mainly with commercial and residential conveyancing. Occasionally, she assists in other departments with Polish-speaking clients including employment, family and civil litigation. Outside of work Magdalena is kept busy by her ragdoll cat named Bob! Magdalena has a friendly approach and excellent communication skills. Therefore, if you are looking for any assistance in polish language, feel free to contact her at her email address mm@dawsonandburgess.co.uk or by telephone on 01302 349463 to arrange an appointment. She will be happy to help! 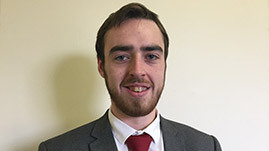 Christian graduated from the University of Northumbria at Newcastle with a 2:1 Bachelor of Laws Degree in 2015, and is currently studying with The Chartered Institute of Legal Executives to expand his practice. Christian joined the Litigation Department at Dawson and Burgess in March 2017. He works alongside Janice Oxley (Partner and head of department), assisting with the firms handling of local authority claims. Christian’s own caseload involves personal injury, debt recovery and contract disputes for businesses and individuals, settlement agreements, and he has a keen interest in landlord and tenant law. He has a good rapport with clients, and seeks to discuss the relevant legal issues and litigation risks so that clients are comfortable, and always able to provide informed instructions. When not in the office Christian enjoys travelling and exploring new cuisine. He also has an interest in cinema, history and politics. 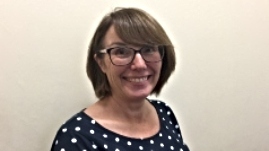 Helen joined Dawson and Burgess in May 2018 in the newly created, much needed position of Practice Administrator. She has quickly become a valuable member of the team, with a strong ability to multi-task, in a role that is constantly evolving and can include any number of varied tasks from updating the website and implementing Health and Safety procedures to maintaining repairs to the building. With a background of administration, office work and field sales, Helen enjoys the variety that the position offers and likes getting involved in new projects and increasing the organisational strength of the company. Away from the office Helen spends a lot of time with her husband, two horses and three oriental cats.